I’d not read the first book The Affair of the Porcelain Dogbut read the sample, and decided this book looked promising. It was, I really enjoyed it. Ira is Gay in a world where its routed out religiously, and anyone suspected of it jailed on the flimsiest of pretences. Tough life, and as a reformed rent boy he’s now a trustee for Turnbull House, a shelter for youths seeking to escape the same life he led. He reluctantly turns to his ex lover, a local crime lord, Cain, for help when the shelter is in danger of being sold. He’s not seen Cain since they parted on bad terms two years back, and is uncertain of his welcome. Seems Cain is keen to renew their acquaintance though – but he’s still in the same situation that led to Ira leaving. Still, he loans the money but with some tight strings attached, which means Ira is now connected to him, and also has to work out a way for the shelter to come up with repayments. Through a series of incidents Ira is suspected of murder, gets involved with another ex – St Andrews, and gets entangled with another young man, Marcus, who’s in a position to the one Ira was when Cain took him in. Its a look at practical life of the time, where anything was OK so long as you didn’t get caught, where life of those without resources was of little value. Ira, his friend Lazarus, and wife Bess are trying to help and educate a few youths rescued from that life, where prostitution is their only way of surviving. Its tough though, and the novel really shows how difficult it was to escape when you’ve no money, no resources. Its not doom and gloom though, the kids are in some ways old for their years, and yet touchingly innocent about other things. They’re willing to do all they can too to keep the shelter running, and they provide some links between different but connected events in the novel. I loved the characters, loved Ira – a good man trying to do his best in a world where he didn’t really fit. Cain too – I know he was ruthless, vicious crime lord and yet we saw a softer side to him, where he seemed to genuinely care for Ira even though he was manipulative and at time OTT in his need for control. I was rooting for him and Ira to find a way back together. I liked Marcus but didn’t see him as suiting Ira long term, and St Andrews…well, I think he’d drive Ira demented with his Sherlock Holmes and private eye fantasies 🙂 Fine in small does only… Then there’s Lazarus – he too has a past with Ira, but that’s behind him now that he’s married to Bess, and about to be a father. There’s an appearance too by Sir Arthur Conan Doyle – that was fun- when Ira is trying to find out who did the murder he was suspected of, and if there’s a link between two fires that have caused deaths and damage to businesses where he has recently visited. Overall its a really good read, one to savour and enjoy, and one I know I’ll find more when I read second time, as its so packed with detail that its easy to miss subtle clues to what’s happening. I loved the way it felt as if I was there, back in history, living alongside the characters and seeing their problems as real. 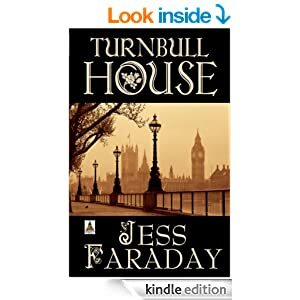 Its not thrill a minute suspense, or dramatic, angst ridden romance, but a more leisurely trawl through the streets and problems of London in the late 1800’s. Its a decently long read too at 264 pages for paperback version. I like books that are longer, and let reader really get to know characters and problems. Although its a sequel to Porcelain Dog, I can’t help hoping that there’s more to come one day from this fascinating cast of characters, especially Ira and Cain. Circle of Fire. A Damask Circle Book: 1. Keri Arthur. This book features Jon from the Circle, out on a mission Seline had warned would be dangerous. He’s in trouble, and the only person able to help is Madeline – but she doesn’t believe he’s real. He’s appearing to her as a “ghost” but despite her abilities she can’t believe what she’s seeing. She’s suffered so much from her family about her abilities, with them seeking psychiatric care for her in the past, and the problems when they got the better of her, that she’s isolated herself from others now, and wonders if finally she’s losing her mind. Jon gives her a clue though, and when her nephew goes missing she just has to check it out. Along with these two characters there’s some great others, Maddie’s sister and her bigoted husband who seems to hate Maddie, Mack the FBI agent who’s met Jon many times before, and puzzles over how he always crops up in the more unusual cases, the horrific people who have abducted the teens….It’s a race to save them, endangering their own lives doing it. It seems each time they get a break something else comes along. It’s the same mix of magic and mayhem, danger and hazards, and close encounters with sorcerers and shape-shifters we’ve come to expect from Keri. I often wonder just what it is that makes a book five star for me, its hard to define exactly, its a kind of instinct and when I’m reading I just get the feeling that this book is it – that its one I’ll remember, enjoy greatly, be happy to re read, and won’t know exactly how its all going to play out. Stars: typical Keri Arthur, riveting read, kept me glued to the end as always, so a full five.